BLOOD STREAM SUPPLEMENT – VET SUPERIOR CONSULTANT CO.,LTD. DR.PETZ FERRO BOOST contain high absorbable Ferrous & Copper amino acid chelate and Vitamins which treat or prevent anemia, promote red blood cell production, for dog and cat anemia, pregnant, bleeding rapid recovery. 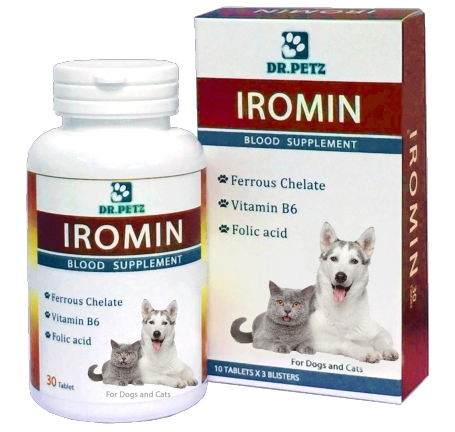 DR.PETZ IROMIN contain high absorbable Ferrous amino acid chelate and Vitamins which treat or prevent anemia during pregnancy, blood parasite infection and after surgery.